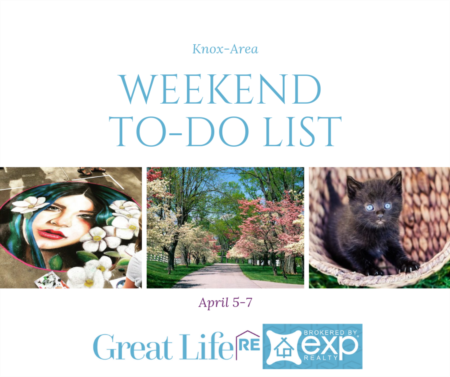 There are so many cool things you can do this weekend in and around Knoxville. Let us plan your weekend for you. We promise it will be filled with fun and full of new adventures. Try one thing or try them all! Where: Seven Islands State Birding Park, Kodak. Enjoy brunch and conversation as the butterflies wake up at Seven Islands State Birding Park. The day starts at 10:00am with a light continental breakfast. Then a two mile walk begins to search for the park's many types of butterfly, wrapping up around noon. This weeks topic focuses on gardening for butterflies. Registration is $15 per person (children under 4 are free) Proceeds support Tennessee Butterfly Monitoring Network and Friends of Seven Islands State Birding Park. Submit a registration request online at: https://goo.gl/forms/1TnYed9IvfKhnMai2. Hours: Mon-Thurs 4pm-12am, Fri & Sat 4pm-2am, Sun 2pm-10pm. Where: 212 Magnolia Ave, Knoxville. Where: Billy Lush Board Shop. 900 Volunteer Landing, Knoxville. Paddle Yoga brings the practice and art of a vigorous Yoga flow into perfect fusion with the sport of paddleboarding. Students experience all the benefits of Yoga and SUP while practicing under the sun. Classes will be conducted by Renegade Yoga and Basecamp Fitness. Cost is $30 for a one hour class. Where: 1401 McCalla Ave. Knoxville. The Red Brick Market offers a variety of Retro, Mid Century- Modern, Shabby Chic, Eclectic, Industrial, Antique, Etc! There's 11,000sq feet for you to ENJOY! Plus for the whole month of July they are having a special Christmas in July Sale. All Christmas Items will be 20%. Also, be sure to look for gifts Santa has stashed throughout the store at 20% off. Behind the gates of the coveted Villas Of Wellsley Park neighborhood sits this stunning European style home on a meticulously landscaped corner lot. This exquisite stone residence offers more than 4000 sq. ft. of retreat like living space. This home has it all including a gorgeous outdoor living area that makes you feel like you are in the country, when really you're still close to all the action of the city. Where: The Concourse at The International. 940 Blackstock Ave. Knoxville. Come get down to some classic electronic dance music from our favorite decade. Funky James, Ede Gee, Psychonaut, Doctor Hollywood & friends will be spinning a wide selection of music for your dancing pleasure including Trip Hop, Hip Hop, Big Beat, Trance, House, Breakbeat, Techno, and more! They'll also have a special A Night at The Roxbury themed set that you won't want to miss. Dress in your finest 90's attire for a chance to win a pair of tickets to a show at The International of your choice! Tickets are FREE. This is an 18+ event. A valid, government issued, photo ID is required for entry. Free Family Fun Day featuring activities, crafts, tours, and more in honor of new exhibition: Not all that glitters is gold. Learn about how people used materials to keep up appearances in the Gilded Age. Activities and crafts will use the newest exhibition, Fish Forks and Fine Furnishings: Consumer Culture in the Gilded Age, as inspiration. All materials will be provided. The program is free and open to the public. Reservations are not necessary.